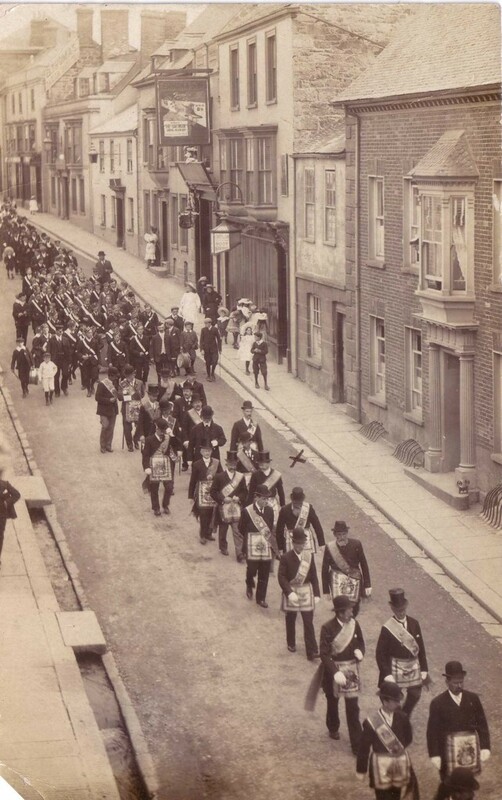 Kathryn Atkin has very kindly sent this excellent postcard of a parade in Meneage Street dated August 10th 1907. She has spent sometime examining the picture and thinks that it may either be a Masonic or Order of the Foresters procession? What does stand out well is GERMAN & SON boot makers shop which is today WARDS Florists. The house next door down on the right with the `maid` pearing out from the window is now EDDY`S Toy shop. The Kennel on the left is in full flow and note how clean the street is! Obviously this was quite an important event as the local children appear to be dressed in their `best` clothes. You can also see what appears to be the Boys Brigade Band. Thanks again to Kathryn for this excellent postcard. 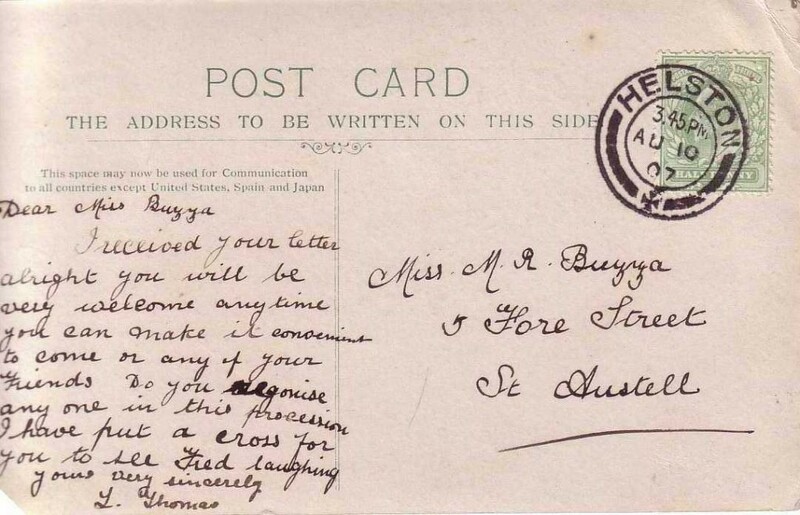 Having examined the note to Miss Buzza from L. Thomas in Helston, Kathryn suggests that the `Fred` mentioned is more than likely to be a `Fred Thomas`. Thomas Frederick, jun. registrar of births & deaths for Helston sub-district & marriages for Helston union, Godolphin road. Could either of these be the `Fred` mentioned in the postcard?